Investors, owner-occupiers and land banking developers are set to compete for a prominent commercial building in Melbourne's north. Colliers International's Jeremy Gruzewski and Peter Bremner, in conjunction with Bayley Stuart's Alasdair MacGillivray, have been appointed to sell 333 Keilor Road in Essendon. The property is expected to attract interest in the vicinity of $7 million. Mr Gruzewski said the property - formerly owned by Sausage Software CEO Wayne Bos - was situated in a desirable inner north location, close to Nidderie Central Shopping Centre with convenient access to Melbourne and Essendon Airports and the CBD. "This is perhaps the only circa 2,000sqm office building available for owner-occupiers in Melbourne's north-west, within 10 km of the CBD," he said. The 1,999sqm, three-level building is situated on a 1,738sqm corner site within the popular Keilor Road retail strip, around 10km north west of the Melbourne CBD. 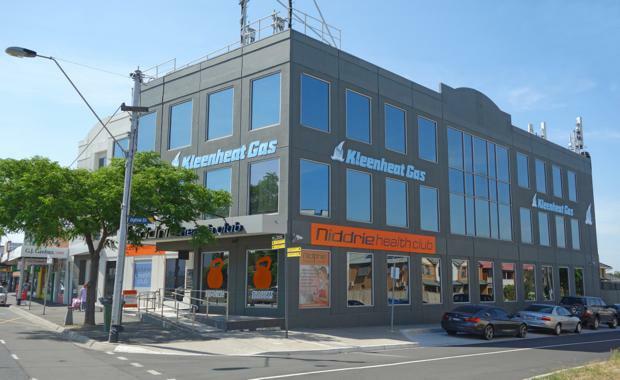 "Given the current cycle Melbourne's property market is experiencing, 333 Keilor Road provides unique opportunity to purchase a substantial and well maintained commercial office building with reliable short term cash flow at a fraction of replacement cost," Mr Gruzewski said. "The property is ideally suited to an owner-occupier who could occupy the top two floors before expanding onto the ground floor, or an astute investor looking to reposition the asset. Even land banking developers taking a longer term view will find something to like with this property. ""The building has always attracted quality long term tenants including the Commonwealth Government, followed by Wesfarmers Kleenheat Gas who have just vacated after 10 years of occupancy. ""The building has been progressively refurbished internally and externally with major capital works in 2003, 2009 and 2010," Mr MacGillivray said. "Prominently located on the south east corner of Ogilvie Street, the property benefits greatly from its close proximity to the major Metropolitan arterial network, with ready access to the CBD, Melbourne International Airport and surrounding suburbs via Tullmarine Freeway, Calder Highway and Western Ring Road. "The property is for sale via Expressions of Interest closing Thursday July 16 at 2 pm.